David Wagner was clear on whether Borussia Dortmund had approached him about replacing Peter Bosz. 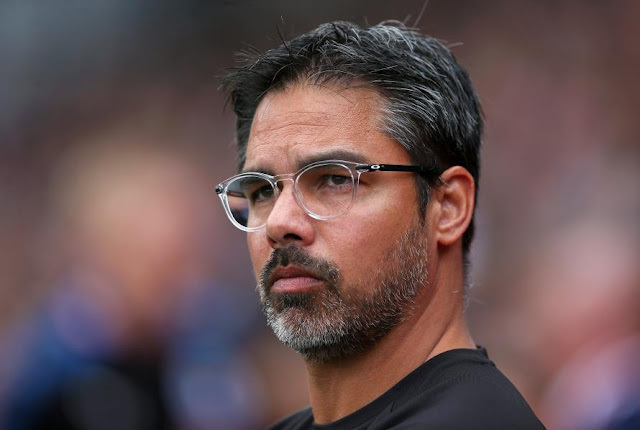 Huddersfield Town manager David Wagner says he was not sounded out over the possibility of returning to Borussia Dortmund as head coach. Dortmund sacked Peter Bosz on Sunday following a poor run of results and immediately appointed former Cologne boss Peter Stoger. Wagner, who spent four years in charge of the club's reserve side, had been linked as a possible replacement in recent weeks. But the 46-year-old dismissed any suggestion he was in the running to replace Bosz. "No. No contact," Wagner replied when the question was put to him on Monday. Wagner would appear to have little incentive to leave John Smith's Stadium, having guided the Terriers to 12th after 16 matches of their maiden Premier League campaign. Saturday's 2-0 win over Brighton and Hove Albion ended a four-game losing run and injected momentum ahead of Tuesday's visit from Chelsea. Wagner is excited by the chance to add another big scalp after beating Manchester United in October. "It is important if you want to stay up that you collect points against the top six as well," he said. "We have so far collected three points and Chelsea is the last one of the top six we face in the first half of the season. "There is no doubt about it, Chelsea is one of the biggest teams - maybe the biggest team - in England, because they are the team that won the title last season. "To play them at home, with our supporters and the floodlights, it will be an exciting evening for all of us and hopefully we can make it into a successful night for us as well."